Maycomb, Alabama. Twenty-six-year-old Jean Louise Finch Scout returns home from New York City to visit her aging father, Atticus. Set against the backdrop of the civil rights tensions and political turmoil that were transforming the South, Jean Louise s homecoming turns bittersweet when she learns disturbing truths about her close-knit family, the town, and the people dearest to her. Memories from her childhood flood back, and her values and assumptions are thrown into doubt. Featuring many of the iconic characters fromTo Kill a Mockingbird, Go Set a Watchmanperfectly captures a young woman, and a world, in painful yet necessary transition out of the illusions of the past a journey that can only be guided by one s own conscience. Written in the mid-1950s, Go Set a Watchmanimparts a fuller, richer understanding and appreciation of Harper Lee. Here is an unforgettable novel of wisdom, humanity, passion, humor, and effortless precision a profoundly affecting work of art that is both wonderfully evocative of another era and relevant to our own times. It not only confirms the enduring brilliance of To Kill a Mockingbird, but also serves as its essential companion, adding depth, context, and new meaning to an American classic." "Go Set a Watchman" is such an important book, perhaps the most important novel on race to come out of the white South in decades --"New York Times" Opinion Pages: Taking Note"
"Watchman" is compelling in its timeliness. --"Washington Post""
"Go Set a Watchman" provides valuable insight into the generous, complex mind of one of America s most important authors. 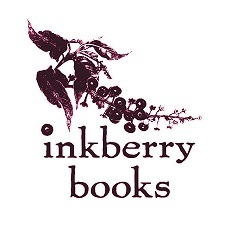 --"USA Today""
Harper Lee s second novel sheds more light on our world than its predecessor did. --"Time""
["Go Set a Watchman"] contains the familiar pleasures of Ms. Lee s writing- the easy, drawling rhythms, the flashes of insouciant humor, the love of anecdote. 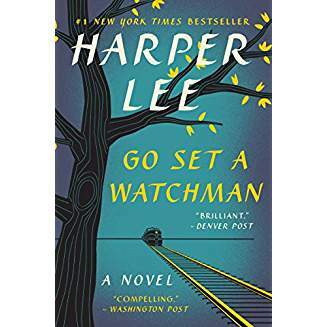 --"Wall Street Journal""
the voice we came to know so well in "To Kill a Mockingbird" - funny, ornery, rulebreaking - is right here in "Go Set a Watchman," too, as exasperating and captivating as ever. --"Chicago Tribune""
Don t let Go Set a Watchman change the way you think about Atticus Finch the hard truth is that a man such as Atticus, born barely a decade after Reconstruction to a family of Southern gentry, would have had a complicated and tortuous history with race. --"Los Angeles Times"